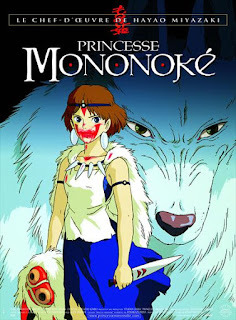 Princess Mononoke was one of the first Japanese animated films I ever saw, and to this day I still love it. It's stunning: the writing and story are excellent, and the animation is beautiful and fluid. I think it was a pretty well made early costume, but I've given away from of the components. Now I'd like to make a new and improved version of this costume. I'm going to try and use as many recyled or reused materials as possible, in keeping with the spirit of the film. 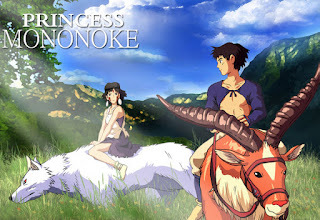 The first piece of San's costume that I made was her purple dress. My first dress was made from a stretchy polo neck jumper: easy to make, but not very accurate. I wanted to use more appropriate materials. 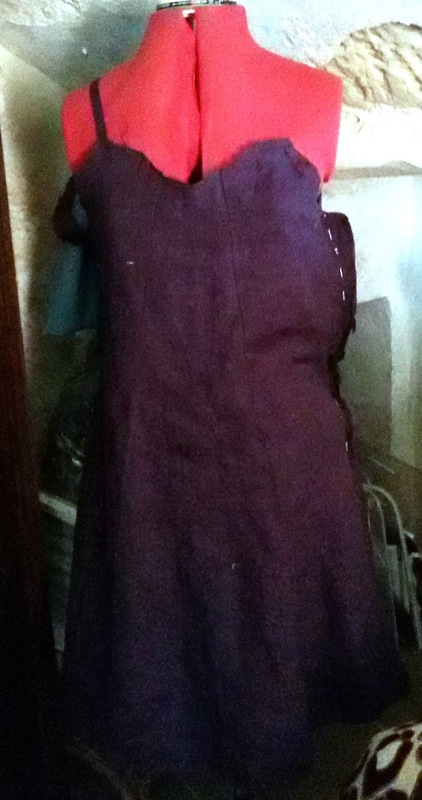 I found a large linen (?) skirt in a secondhand shop (I think it cost around 2000 forint). 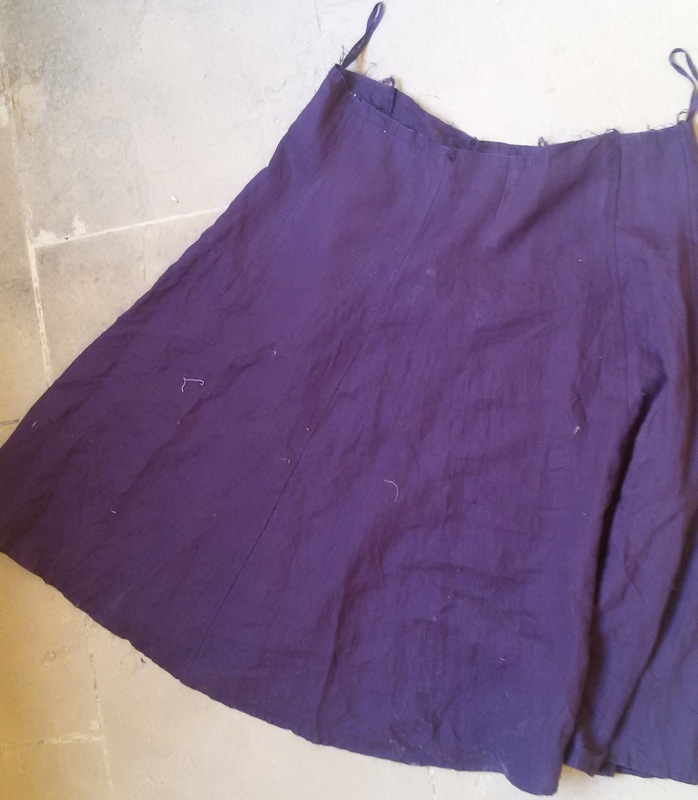 I'd previously bought some material that I thought would be good, but this skirt was perfect: plain linen and the perfect colour. 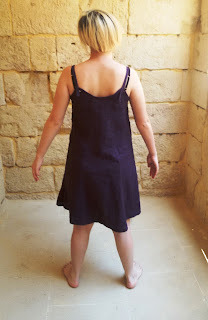 I made the pattern by tracing a chemise/night dress that I own. 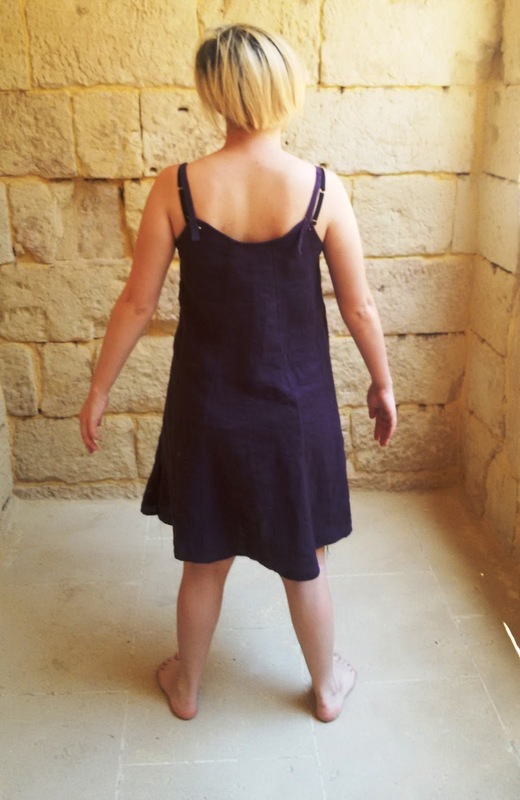 I cut out the back and front, and sewed them together (I forgot to add side pockets - doh! ), and overlocked the seams. I finished the top edge with bias tape, also made from the skirt. The straps are made from twill tape that was also part of the skirt. 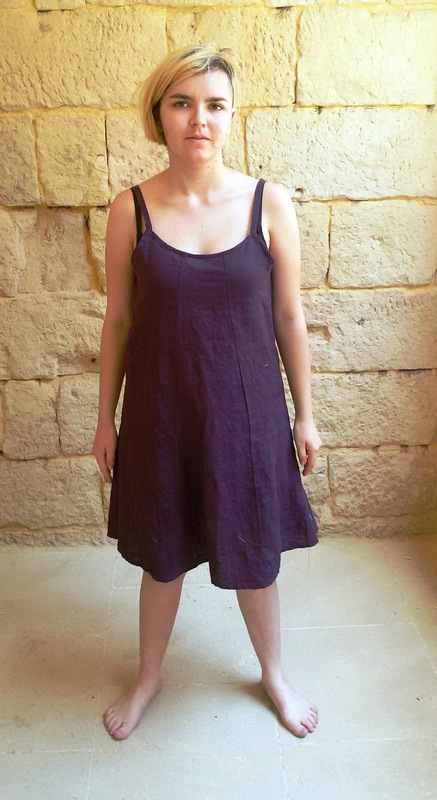 They are sewn to the front of the dress, but attach to the back with small buttons that came with the original skirt. The nice thing about recycling this skirt was that the dress now has a lot of interesting looking seamlines on it, even though I only actually sewed the two side seams; for example, the armpit area of the dress looks like it has a gusset sewn in. The next stage is to distress and weather the dress: i will update the blog when I do that. 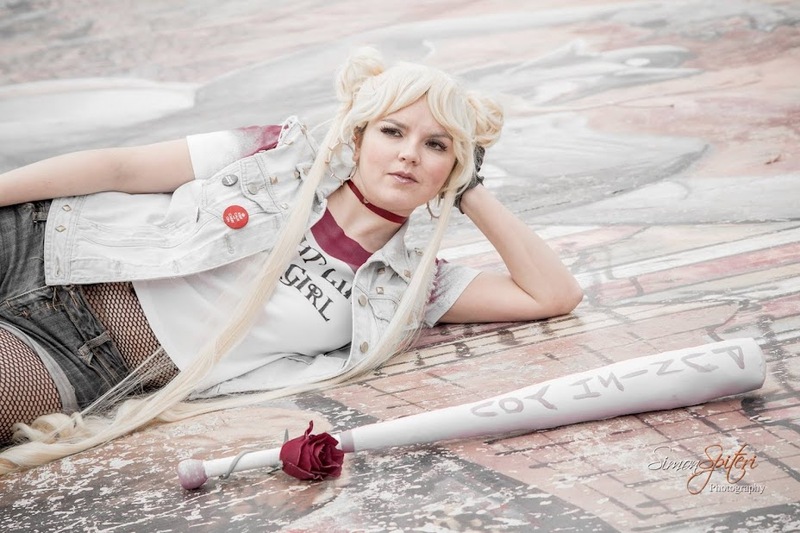 A blog for all those who love cosplay, sewing, art and general insanity. This blog is an account of my various projects and mischief.